MediaMind (http://www.mediamind.com ) is a global provider of digital advertising solutions that optimize the use of media, creative and data for enhanced campaign performance. We talk with Gayatri Choda, Head of Analytics practice at Mediamind, on how analytics is being used at Mediamind. [dropcap style=”1″ size=”2″]AIM[/dropcap]Analytics India Magazine: What are some of the main tenets (philosophies, goals, attributes) of analytics approach and policies at Mediamind? [dropcap style=”1″ size=”2″]GC[/dropcap]Gayatri Choda: Our philosophy: content is king, context is queen but data is the ruler. In the rapidly changing digital marketing ecosystem, solutions for many problems are with data. Mediamind as an ad-serving platform has an enormous reach across globe. We have first hand information on how a paid campaign is performing. We collect information on how a publisher or an ad network is performing, where and what is creating interest to users etc. This gives us an edge to provide campaign optimization and drive the best possible marketing ROI for our clients. This is the ultimate goal we are targeting. Our approach towards analytics is fairly simple. We believe technology is a facilitator; people drive the intelligence; however the process that is connecting these dots can only create a differentiating factor. For any client that we are working with, we provide general guidelines that, technology should be 20%, people should be 30% but process should be 50% of your marketing efforts. We believe that this is the only way an organization can become a truly data-driven. AIM: Please brief us about some business solutions you work on and how you derive value out of it. GC: Our business solutions are mainly divided into three categories. Digital analytics consulting, campaign related and always-on analytics services. We provide 360 degree support to our clients related to digital analytics, starting from strategy consulting to setting KPIs to analytics training. This helps client to have a transition from analytics being a value service to value creator. Analytics can drive short to long term success based on how it is implemented. We help clients to fulfill their requirements accordingly. We use Mediamind analytics module and site side tools data. We work with excel to extract signal from data noise. Our differentiation comes with the analysis we provide which is in the form of recommendations and actionable insights. We also calculate an estimated savings for each recommendation, if implemented. This is an example of how analytics investment can contribute to the bottom line item of profit. A dollar saved is worth more than a dollar earned. GC: For a consumer electronics company product launch campaign, we identified that for a pre-buzz period, we need to have a multi-phase media spend with re-targeting implemented for later phases. This has helped to have the same user, targeted with similar content, responded with more positive interactions. This also helped us to understand the optimal relationship between loyalty and recency for the visitors. AIM: Is the information being gained by analytics impacting boardroom decisions or business strategies at all? If so how? GC: To be frank, that’s the goal. I feel, analytics has to be the center point of decision making. It helps business to move from intuition based decision making to fact based decision making. This should no longer be an option but should be necessary. With the help of new services models, we can agree that this journey has already began. AIM: Do you think it’s possible to become too married to the data that comes out of analytics? Where do you draw the line? GC: Absolutely. It’s easy to get lost with data. In my experience, I have seen people getting exiting by more and more reports and they still want to have a super report/dashboard with pretty graphs and colors. Though I see the value in it, data by itself does not say anything. We definitely need a brain that is going to interpret it and making it simple English. If data by itself can say everything, we should all be millionaires by just looking at the stock market – share prices. This is exactly why we limit tools to 20% and invest on people and process in our approach. GC: The above mentioned. Getting right people to do this analysis and making organizations realize the importance. The hierarchy for data analysis should be: Data -> Information -> Insights -> Best practices. This requires an understanding and ownership from organizations, which I feel is missing at this moment. GC: Start asking questions and always looking for answers with data. More than mastering any tool or technology this logical reasoning is what can help to have a successful career in analytics. GC: With working experience from USA and Singapore, I can say that, awareness towards analytics is already reached. Now the industry is evaluating the best practices and business models. One thing to highlight here, the whole world is looking at India for this analytics talent pool. In all the places that I worked, my analytics team was always constituted with 80% Indians. GC: Currently time is a luxury for organization which is still considering to adopt analytics. In case we are wondering the value about it, Data year was two years ago. 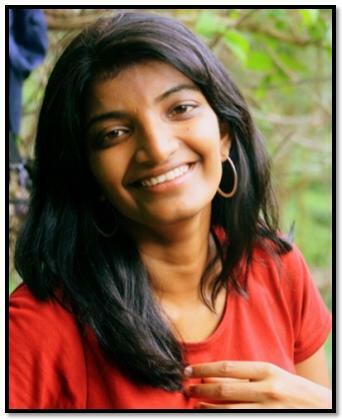 Gayathri has over 6 years of experience across digital analytics, marketing strategy development. Before joining Mediamind as Head of Analytics practise, she worked with WPP group in Singapore as Insights and Optimization lead for SEAP countries. Her clientele includes Microsoft, Nokia, Xbox, TimeWarner group, JP Morgan etc. Her diverse background is in campaign analytics, media and site side analytics, ad inventory analytics, search analytics, content analytics, social media analytics, ecommerce and mobile analytics. She is a MBA graduate from Illinois Institute of Technology, USA with an engineering degree in Electrical and Electronics from Jawaharlal Nehru Technological University. 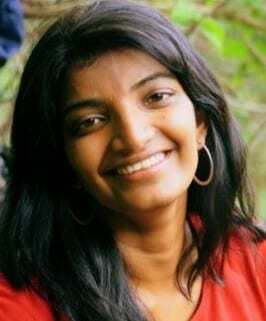 She is also a certified mobile marketer from Mobile Marketing Association (MMA), APAC.